Some pre seasons are slightly excitable, others are pretty mundane. It has to be said that the 2015/16 variety was far from mundane and highly excitable. For many reasons, which I won’t expand upon, I haven’t seen a single minute of pre-season action. In fact the only goal I’ve been able to celebrate was Tony Watt’s equalizer on Friday night up at the Reebok/Macron/Diamond floodlighted stadium. There were quite a few strange looks for a large English bloke semi Dad dancing and singing You Watt, You Watt etc amongst the gathered Spaniards undertaking their Friday night shopping in Caleta de Fuste’s Atlantico centre. Lets hope that we all get the chance to celebrate goals from Tony Watt many more times over the next 9 months. Charlton have gone about their business in a calm and quiet manner. Seven players have arrived at Sparrows Lane, all facing the “what’s your basic” question from a certain Gooner supporting Lord of the Manor. All, in my opinion, exciting signings, giving the squad a much-needed injection of fresh blood. A Millwall supporting friend, yes we all have them, remarked that he was impressed with the talent brought in and that we were the “dark horses” for promotion. Praise indeed. I’d take a top 10 place at this stage. The squad may well have a few more additions before the window closes at the end of the month. Whatever happens we will know if the investment may be paying off given the less than easy start to season in prospect. Games against some of the teams expected to be challenging for honours will test Guy’s new lineup. The gloves come off on Saturday against a relegated and changed QPR side, one that still packs plenty of punch in this difficult division. Who knows if they will be challenging at the end of the season, like all Addicks my main concern is that we hit the ground running and take all three points sending Chris Ramsay and co. back to West London with their tails firmly between their legs. I may have missed the buildup but I can’t wait to back aboard the Charlton charabanc for another season of highs and, few hopefully, lows. 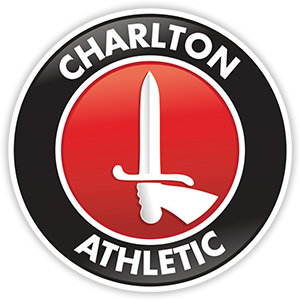 We will be back on Sunday night from 7pm with another season of Charlton Live, I really hope that you will join us for the ride.